Abandoned, left tied to a pole in front of Petco with a sign around her neck saying Take Me Home. 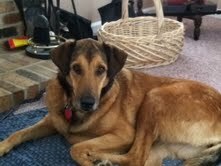 Well after a stay with one of the nice fosters at Wags she has found that special home. 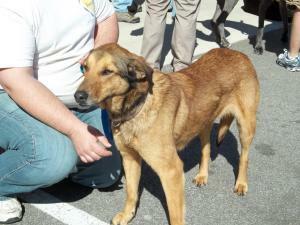 Her new family loves her and she loves them and the security a forever home brings. 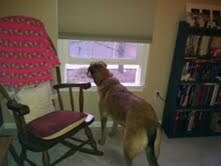 This one is her upstairs checking out the neighborhood. We took her to the Bark Park last weekend and she had a lot of fun playing with the other humans...wasn't really interested in the dogs, but she said hello to every owner there. Thank you again for allowing us to adopt such a great dog.